Apple is settling the case brought by states and other plaintiffs over price fixing involving the agency model for e-books, according to Reuters. The settlement means Apple will not go to trial as scheduled on July 14. Plaintiffs were seeking as much as $840 million in damages for e-book customers. Details of the settlement have not been released yet. Last year, Apple had lost the case brought in 2012 by the Justice Department, which had also sued five major publishers, all of whom eventually settled. Apple has appealed that case. Damages in the state case are dependent on the results of that appeal. The federal court that last month issued a temporary restraining order against the merger of Hastings Entertainment with two companies owned by Joel Weinshanker, president and owner of National Entertainment Collectibles Association, has extended the temporary restraining order until June 26, Hastings announced yesterday. 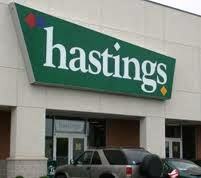 At a hearing on June 12, the judge did not rule on any issues in the case and is allowing Hastings to send a proxy statement to shareholders and solicit proxies for the merger. The order came in a lawsuit by Hastings shareholders who, as the company has put it, "are alleging, among other things, that the merger contemplated in the Merger Agreement provides for insufficient consideration to be paid to Hastings' shareholders in exchange for their shares of Hastings' common stock, that the officers and directors of Hastings breached their respective fiduciary duties in the course of negotiating and approving the Merger Agreement and that the other defendants aided and abetted such breach of fiduciary duties." This was apparently one of many lawsuits that were filed in the weeks after the merger was announced. Under the merger plan, announced in March, Hastings shareholders will receive $3 per share and the company will merge with Draw Another Circle and become a wholly owned subsidiary of Hendrix Acquisition Corp., both of which are wholly owned by Joel Weinshanker. National Entertainment Collectibles Association is a major supplier to Hastings of movie, book and video game merchandise and collectibles and already owns 12% of Hastings shares. When Robinson Crusoe, the iconic English-language bookstore in Istanbul's Beyoğlu district, was "forced to move from its well-known location on the central İstiklal Avenue, after struggling to pay its rent in an increasingly tough area for small businesses," volunteers showed up to pass the store's inventory hand-to-hand down the street to its new location, Hürriyet Daily News reported. 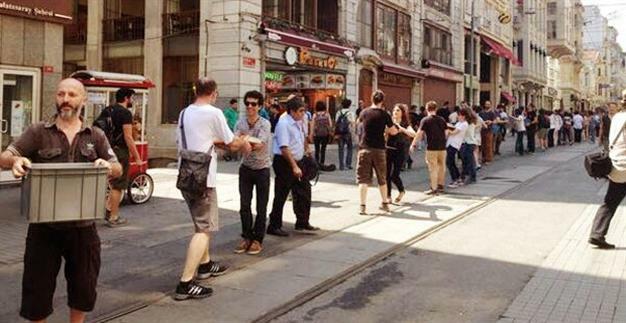 In a statement, Robinson Crusoe noted: "As part of İstiklal Avenue's multicultural landscape, which is facing the increasing threat of uniformization, [we are moving] in order to resist without going too far." Hürriyet Daily News wrote that "many Istanbul bookstores are on the brink of disappearing due to rising rental costs, and many have denounced the lack of municipality assistance for small shops." Bay Area sales rep Dan Skaggs died on June 6 after a two-year battle with non-Hodgkin's lymphoma. Skaggs was a buyer at Books Inc. in Palo Alto, worked with the Bay Area wholesaler L-S Distributors, became a sales rep for Penguin, and for the last 20 years had been a sales rep with independent commission rep group Wilcher Associates. He is remembered for his giant and loving heart, his fervor for a good book, and his generosity of spirit toward anyone who came into his orbit. There will be a memorial for Dan Skaggs at the home he shared with his wife, Jane Siegel, this coming Sunday, June 22, at 1 p.m. at 606 Mariposa Ave., Oakland, Calif. 94610. For information, please contact Hilary Roberts at haphil@comcast.net. Kristin Newman entertained a crowd at Book Soup Bookstore in West Hollywood, Calif., with the juicy international travel details of what she was doing while they were busy having kids at an event this past Friday night for her memoir, What I Was Doing While You Were Breeding (Three Rivers Press). 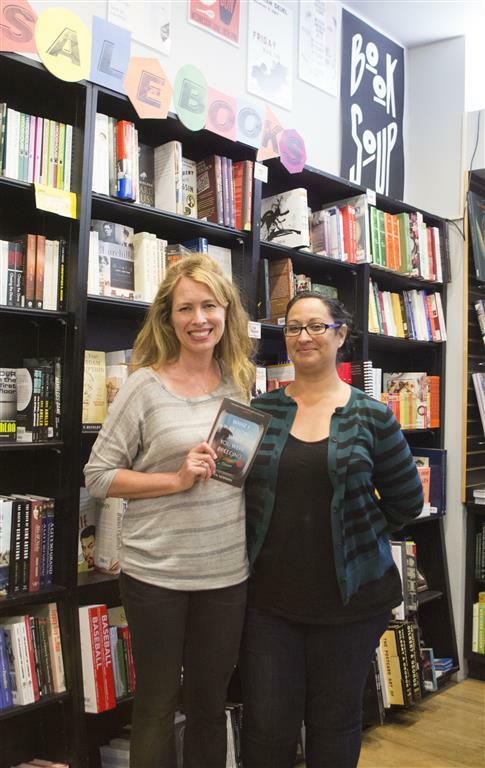 Pictured: Newman (l.) with Jennifer Ramos, Book Soup's promotional director. The legendary "Colbert bump" worked well for Rainy Day Books, Fairway, Kan., which was one of the indie bookstores mentioned during the Colbert Report's satiric takedown of Amazon.com last Thursday, when Colbert mentioned alternative places to order copies of Edan Lepucki's novel California. The Prairie Village Post reported that Rainy Day's Roger Doeren said the store received a "significant increase in local and national online orders as a direct result of Stephen's encouraging and enthusiastic endorsement." Doeren added that he and Vivien Jennings were not aware in advance they would be mentioned on the show. "Vivien and I are kindred spirits with Stephen Colbert's strong stand against the war that Jeff Bezos declared on authors, booksellers, customers, distributors and publishers. The world needs more courageous people like Stephen Colbert to stand up for principles." On yesterday's edition of NPR's On Point, host Tom Ashbrook focused on "all kinds of great summer reads.... Hot reads. For the summer of 2014." His guests included Paul Ingram, book buyer for Prairie Lights bookstore, Iowa City, Iowa (and author of the recently released The Lost Clerihews of Paul Ingram); Parul Sehgal, book editor at the New York Times Book Review; and Maggie Galehouse, book critic for the Houston Chronicle. 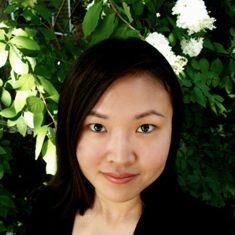 Christine Ragasa is joining Skyhorse Publishing as executive director of publicity and content strategy, a new position. She formerly was director of publicity at Hyperion Books, where she spent 13 years. She began her publicity career at Time Inc.'s People Group and has also worked at Little, Brown. Allison Finkel has been named academic marketing manager at Basic Books, where she will be responsible for Perseus Books Group academic marketing plans and coordinate with her counterparts at Westview and client services on company-wide academic marketing initiatives. She was formerly assistant marketing manager at Oxford University Press, where she has worked since 2006 in several academic marketing positions. Effective in the fourth quarter, Ingram will manage warehousing, fulfillment, POD and e-book content management solutions for Longleaf Services, founded by the University of North Carolina Press in 2006 to provide fulfillment for university presses and non-profit publishers. Besides UNC Press, Longleaf's clients are Louisiana State University Press, Rutgers University Press, Syracuse University Press, University of Nebraska Press and University of the West Indies Press. Robbie Dircks, president of Longleaf Services and associate director and CFO, University of North Carolina Press, commented: "With the enormous change we are experiencing in the industry, working with Ingram will allow Longleaf to provide a fully-integrated suite of print and digital services, in addition to the superior customer service and back-office activities we've been providing to better serve our current and future client publishers." Among Chimpanzees: Field Notes from the Race to Save Our Endangered Relatives by Nancy J. Merrick, foreword by Jane Goodall (Beacon Press), a trailer that includes footage Merrick and her husband shot with chimpanzees and locals in Uganda, at Bulindi and Kibale National Park. Today on Fresh Air: Joshua Ferris, author of To Rise Again at a Decent Hour (Little, Brown, $26, 9780316033978). Tomorrow morning on Morning Joe: David Boies, co-author of Redeeming the Dream: The Case for Marriage Equality (Viking, $28.95, 9780670015962). Tomorrow on MSNBC's the Cycle: discussion of The Last Magazine: A Novel by Michael Hastings (Blue Rider, $26.95, 9780399169946). Tomorrow on the Talk: Ray "Dr. BBQ" Lampe, author of Pork Chop: 60 Recipes for Living High on the Hog (Chronicle Books, $22.95, 9781452113678). Tomorrow on Fox News's Kelly File: Ben Shapiro, author of The People vs. Barack Obama: The Criminal Case Against the Obama Administration (Threshold Editions, $27, 9781476765136). Tomorrow on Tavis Smiley: Nomi Prins, author of All the Presidents' Bankers: The Hidden Alliances that Drive American Power (Nation Books, $32.99, 9781568587493). Tomorrow night on the Colbert Report: Katty Kay and Claire Shipman, authors of The Confidence Code: The Science and Art of Self-Assurance--What Women Should Know (HarperBusiness, $27.99, 9780062230621). A first clip and poster are out for the documentary Holbrook/Twain: An American Odyssey, which "was snuck in at the LAFF last night [Sunday] before premiering officially at AFI Docs on Wednesday," Indiewire reported. Scott Teems directed the film, which features interviews with Sean Penn, Martin Sheen, Emile Hirsch and Cherry Jones, among others. Hal Holbrook has been performing Mark Twain Tonight! for 60 years. "Since first walking onto stage in 1954, Holbrook has performed his one-man show on Broadway, in all 50 states, in 20 countries, behind the Iron Curtain, and before five U.S. presidents," Indiewire wrote. The judge's choice award of PubWest's 2014 Book Design Awards is Portraits of the American Craftsman by Tadd Myers (Lyons Press/Globe Pequot Press). Winners in 23 awards categories, which can be seen here, will be recognized at the 2015 PubWest Conference February 5-7, 2015 in Pasadena, Calif. The longlist has been announced for the £25,000 (US$42,450) Royal Society Winton Prize for Science Books, which "celebrates outstanding popular science books from around the world and is open to authors of science books written for a non-specialist audience." The shortlist will be announced September 19. Check out the complete longlist here. In 2012, five years after the death of his young wife, Aura Estrada, in a body-surfing accident, novelist and journalist Francisco Goldman (The Ordinary Seaman; The Divine Husband) returned to Estrada's native Mexico City to walk the streets where they had once been happy lovers and stare down the high-speed chaos of the Mexican capital--and in so doing, wrestle with his grief. Since the accident, he had tried to shake his gloom by seeking professional therapy, drinking, spending time with friends and even writing an autobiographical novel about her death and his loss (Say Her Name), but none of these could chase his profound funk. Remembering that he had vowed to live the rest of his life in her honor and tiring of the attempts of well-meaning friends to console him, he left New York City for el DF (the Distrito Federal, Mexico's equivalent of Washington, D.C.), where death seemed better understood amid the city's urban ambience of la ligereza (a kind of easy-going lightness) and "nobody, once, ever said anything about 'moving on.' 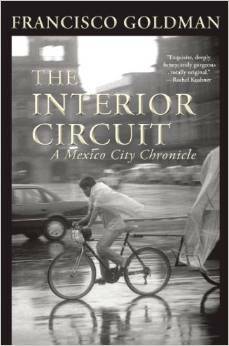 " The Interior Circuit is Goldman's chronicle of those days in the young and hip neighborhoods of Condesa and Roma, where he shed his desolation and returned to investigative journalism to write about Mexico's political transformation. Much of the pleasure in The Interior Circuit builds on Goldman's knowledge and love of Mexico City and his unabashed personalization of its streets and student dives. He failed at learning to drive a stick shift ("with a secret sigh of relief I let go of my dream of dexterous road mastery, car synched to hand, engine purring at my touch"), but finally overcame his apprehension of the city's frenetic traffic and traversed the neighborhoods noted on his well-marked Guía Roji map. Conquering the busy 42-kilometer circumferential highway helped him achieve a personal "new start" putting him "in a better place in my own circuito interior." Gradually relieved of his heartache, he infiltrated Yo Soy 132 (Mexico's first mass student movement since 1968), interviewed new president Enrique Peña Nieto, roamed the crime-infested black-market barrio of Tepito, tagged along with the rich offspring of government jefes and business tycoons on their party bus and finally got his journalistic mojo back. If The Interior Circuit is partly Goldman's chronicle of overcoming personal sorrow, it is even more his take on the politics, complexity, romance and vibrancy of one of the great megacities of the world. He plugs straight into its "mysterious energy [that] seems to silently thrum from the ground, from restless volcanic earth... so much energy that in the late afternoons I don't even need coffee." It's no wonder he left New York to find his fresh start south of the border. --Bruce Jacobs, founding partner, Watermark Books & Cafe, Wichita, Kan. Shelf Talker: In a personal tribute to the birthplace of his tragically killed young wife, a journalist drives around Mexico's sprawling capital to relieve his sorrow and understand contemporary Mexico.